HomeTowne Studios Orlando - UCF Area features all the essentials you want in an extended stay at a price you will love. Our 138 studios will make you feel at home. All HomeTowne Studios by Red Roof properties feature kitchenettes with full-sized refrigerators, FREE in-room Wi-Fi, HD flat-screen TVs with cable, weekly housekeeping and more. Dishes are not provided in the rooms, but kitchen kits are available for purchase at the front desk for a low fee. Stay one night or many and discover our flexible daily, weekly and monthly rates. All guest rooms are non-smoking. HomeTowne Studios Orlando - UCF Area features all the essentials you want in an extended stay at a price you will love. Our 138 studios will make you feel at home. All HomeTowne Studios by Red Roof properties feature kitchenettes with full-sized refrigerators, FREE in-room Wi-Fi, HD flat-screen TVs with cable, weekly housekeeping and more. Dishes are not provided in the rooms, but kitchen kits are available for purchase at the front desk for a low fee. Stay one night or many and discover our flexible daily, weekly and monthly rates. All guest rooms are non-smoking. 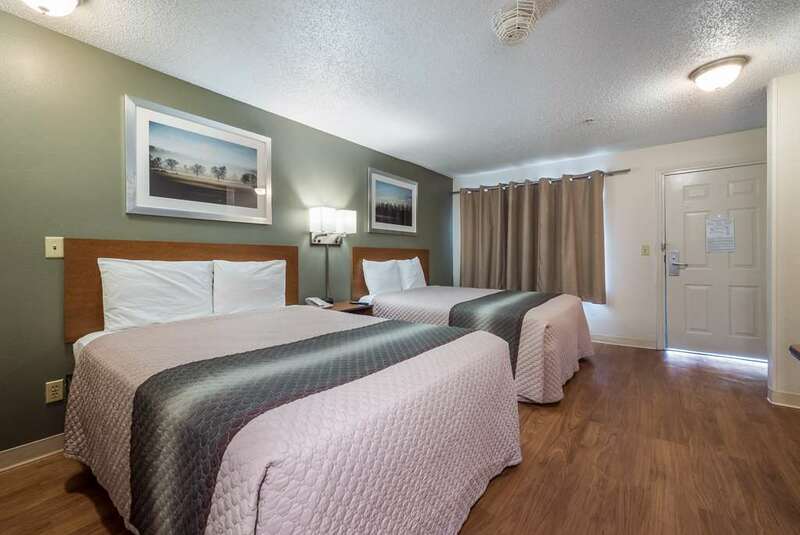 Our extended stay hotel in Orlando - UCF area is just a short walk or drive to convenient restaurant options like McDonald's, Chili's, Olive Garden, and much more. Get all your essentials at nearby Publix, Target, CVS, and more. Catch a movie at the Regal Cinemas Waterford Lakes 20 IMAX or enjoy the convenient shopping options.